Foreign objects have been a trademark of managers for decades. Jimmy Hart had his megaphone. Jim Cornette had his tennis racket. And Paul E. Dangerously lugged around a huge mobile phone. More often than not, the opponents of these manager's charges fell victim to said object. The same can be said about Stride Pro Wrestling's J. Wellington Beauregard. He carries around a clipboard with a large legal pad attached to it. 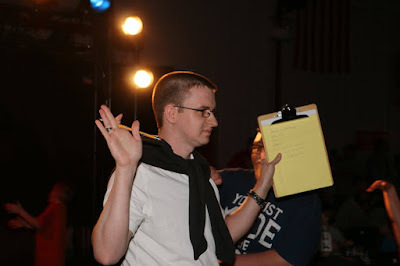 Beauregard claims he's taking notes during matches, but at the recent Brave the Storm show (which will soon be up on the new Stride Pro Wrestling YouTube channel) the board was used for less than trustworthy reasons. J. Wells' duo, tag team champions Maximum Overdrive, were battling 'Stone Cold' Plumster and James Storm (yes that James Storm) in a non-title match. 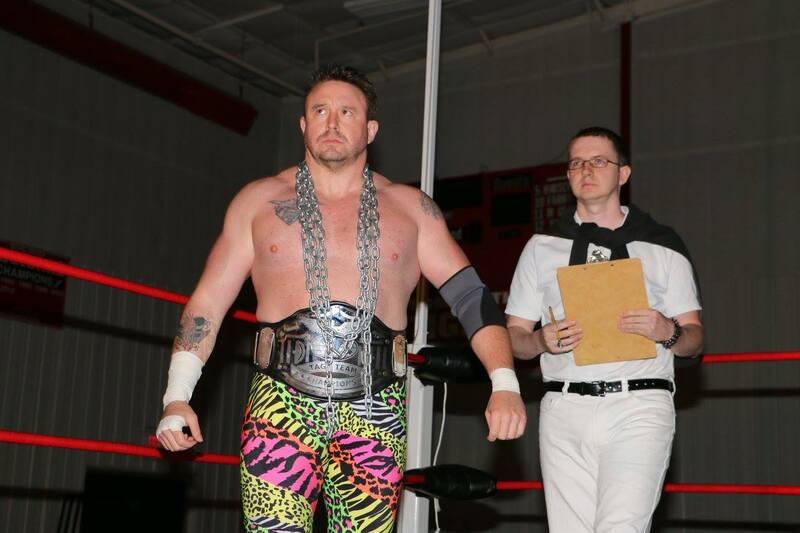 At one point during the match, Storm was blasted by the clipboard. 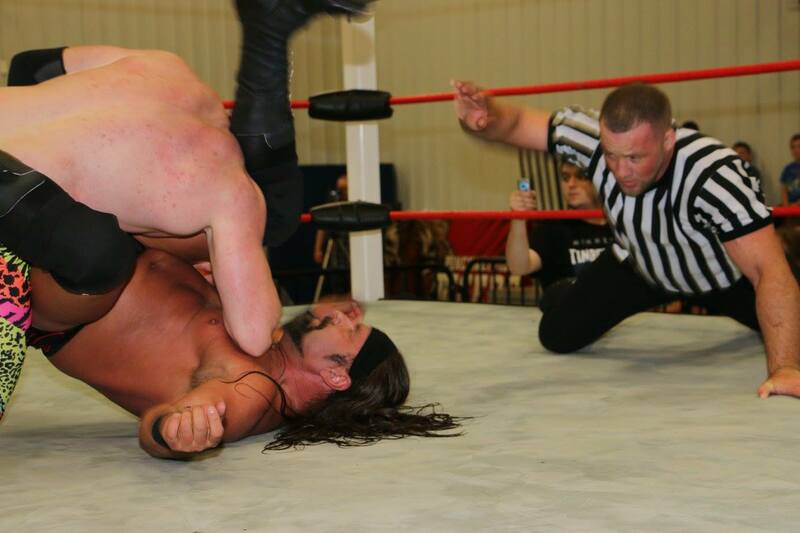 Ax Allwardt went for the pin, but it takes more than that to keep the former Impact Wrestling champion down. Storm and Plumster rallied and came back for the win. The clipboard has come into play in other matches through years. As long as there are "notes to be taken" you can bet Beauregard will get extra use out of the clipboard. 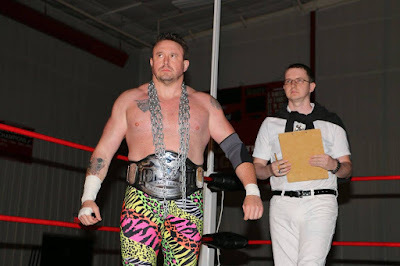 Will have to wait and see if it will be a factor Saturday, June 3 when the champs face off against El Magnifico and Eugene Drip.